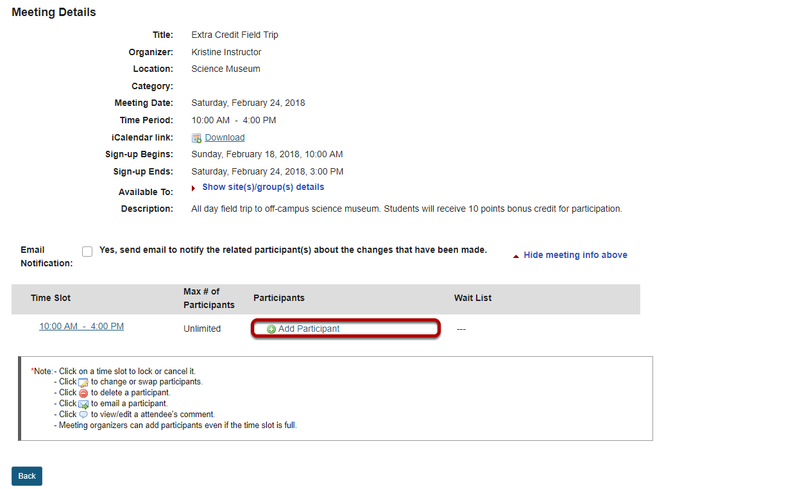 Sakai Community DocumentationSakai 19 User Guide (English) Sign-UpHow do I manually add users to meetings? Zoom: Select a user from the drop-down menu, then click OK.
Zoom: The user is now signed up for that meeting. Prev: How can I use the Sign-Up tool in my site? Next: How do I add meetings to the site Calendar?